Article about the editor herself! 2017 I attended the FITposium Conference after learning about it from a friend who went in 2016! I was so excited to fly in from Minneapolis, visit my brother who lives in Phoenix and meet some amazing people in the fitness industry. I was a little unaware and overwhelmed by the experience at first! At the time I was only 21 years old, a college student and bikini competitor after losing over 50 pounds. Because of my weight loss journey it made me realize that I wanted to do something fitness related for my future career, so I thought FITposium would be a great opportunity to help me generate some ideas. That it did! I was able to meet with top magazine editors, the FITposium creators and amazing fitness success stars! It left me in a complete whirlwind when Max Sport and Fitness Magazine wanted to publish an article with me, Strong and Fitness magazine loved my photos and I became the Editor and Chief for the 2018 conference! I literally went home with so much excitement that I couldn’t wait to graduate and move down to Phoenix. Throughout my FITposium experience I have been able to connect with successful fitness entrepreneurs, aspiring ones and develop life long friendships with the FITposium family! With everything that I have learned from the conference, meeting with people and seeing brands take off it has helped solidify what I want to do for my future. I was able to get to that point by really thinking what would make me the happiest for my own life and how could I help the most people? It led me to realize that I am going to pursue a future career as a PE teacher. With my weight loss journey and problems I experienced in my adolescence I want to help America’s youth in having a healthy relationship with fitness and nutrition. So, I started to brand myself as Making America Fit Again! Which couldn’t be more perfect for what I believe and want to accomplish in the future. 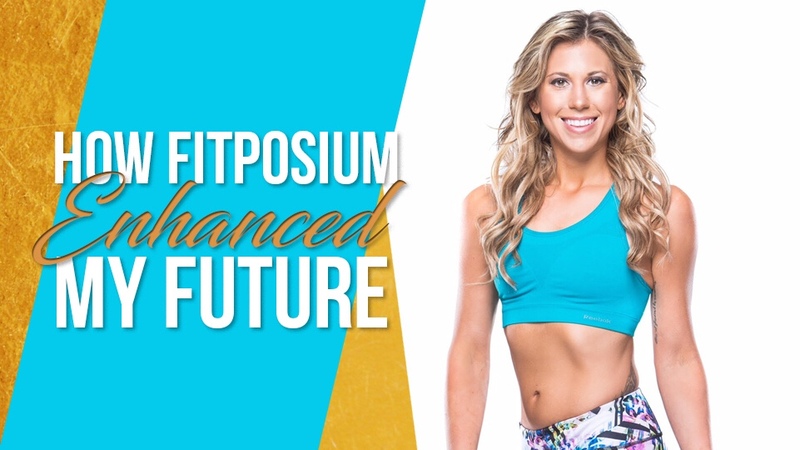 Without FITposium showing me how to brand myself, to follow my passions and to stand out in the fitness industry I would have never taken the leap to disregard my undergraduate degree in marketing to pursue a graduate degree in physical education. So, I couldn’t be more thankful for that! Going to the 2017 conference opened my eyes to the endless opportunities there are out there for all of us, but it is only the one’s who work hard and work smart that become a success story. After a year of connecting with other FITposium Pro’s it is so inspiring to see people doing so well after going to last years and previous years conferences. I cannot wait to hear the success stories to come in the future from this amazing event!